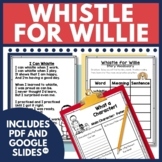 Whistle for Willie Journeys Unit 5 Lesson 23 First Grade Sup. Act. 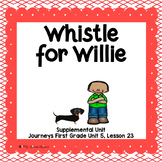 Whistle for Willie Journeys Unit 5 Lesson 23 First Grade supplement activities Common Core aligned P. 3 Roll and Spell P. 4 Peter’s Possessive Pronouns P. 5-6 Cause and Effect class instruction P. 7 Cause and Effect student paper P. 8-13 Willie’s Adventures writing and bulletin board display P.
Whistle for Willie - Guided Reading for Growing Readers This product is formatted for student use. 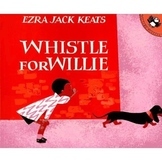 Students can work with a partner to complete the tasks in a Read to Someone format, or it can be used in a teacher-led guided reading group. 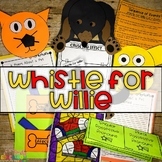 This game board features comprehension questions and vocabulary from the story "Whistle For Willie" The kids love to play these board games! 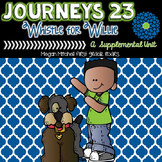 I have several more to go with other stories in Journey's. 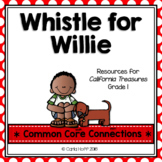 Check out my store to view more comprehension games!